Summary: This book is about all kinds of ethnicities, skin color, hair color and eye color. It shows how some children are the same and some children are different. It explains diversity not only in appearance but in families as well. Despite any differences, children can still be friends and appreciate one another. Element 2: This book helps children gain respect for others because it discusses similarities and differences children may have but how they can still accept each other. Activity: I would partner children together and have them create a chart with each other's similarities and differences. The children will have a list of questions they can ask each other and they can record their answers on the chart. When they are finished, they can share their responses with the rest of the class. 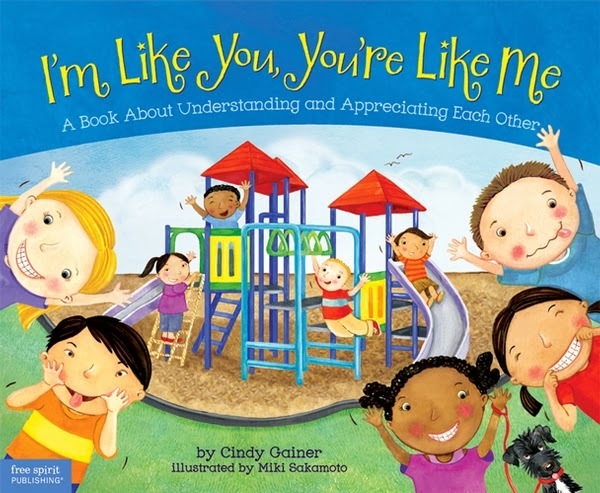 Children will recognize they have similarities with other children in the classroom as well.